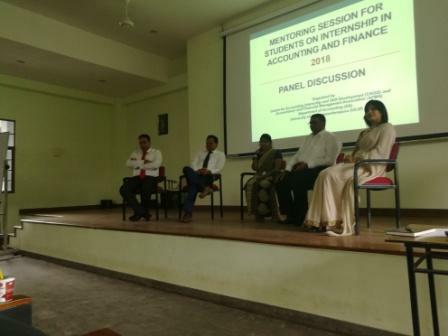 A Mentoring Session was held under the Skill Development Program of Intern Accountants of the B.Sc. Accounting (Special) Degree program on 25th July 2018 from 3.00 pm to 5.00 pm at the Prof. Munasighe Auditorium for the Second-Year undergraduates of the Department of Accounting. 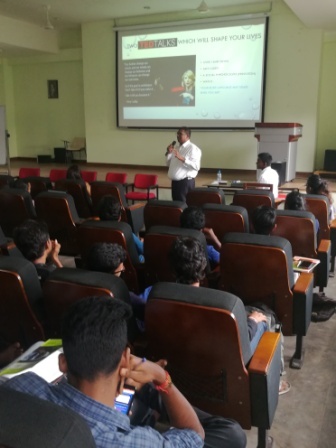 This mentoring session was conducted with the objective of making the second-year undergraduates aware of the opportunities available for internship, challenges faced during the internship program and how to meet these challenges successfully. 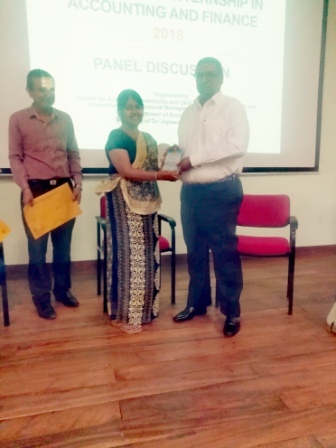 Following resource persons contributed for the mentoring session, and all of them are illustrious members of the alumni of the Department of Accounting.